May is national water safety month. In order to be safe in the water, it’s important to know what to do around and in the water. 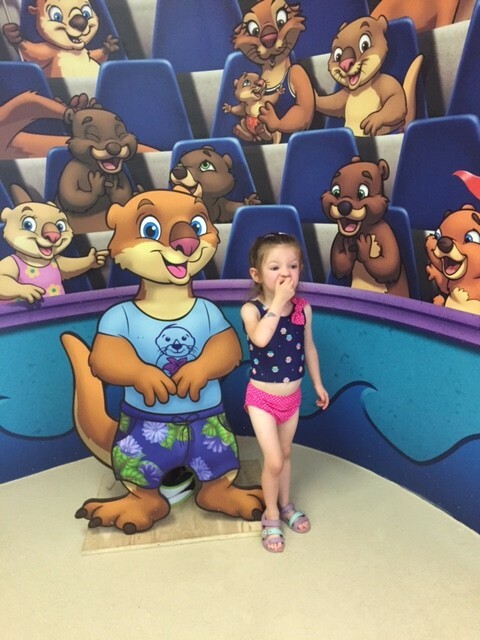 With all the pools opening up, now is the time to visit Little Otter Swim School. 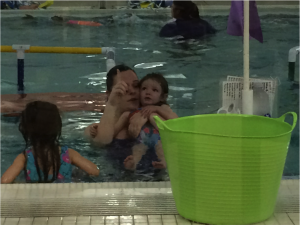 My two kiddos have been taking swim lessons for over a month with the Little Otter and I’ve seen major improvements in their comfort and skill level in the water. 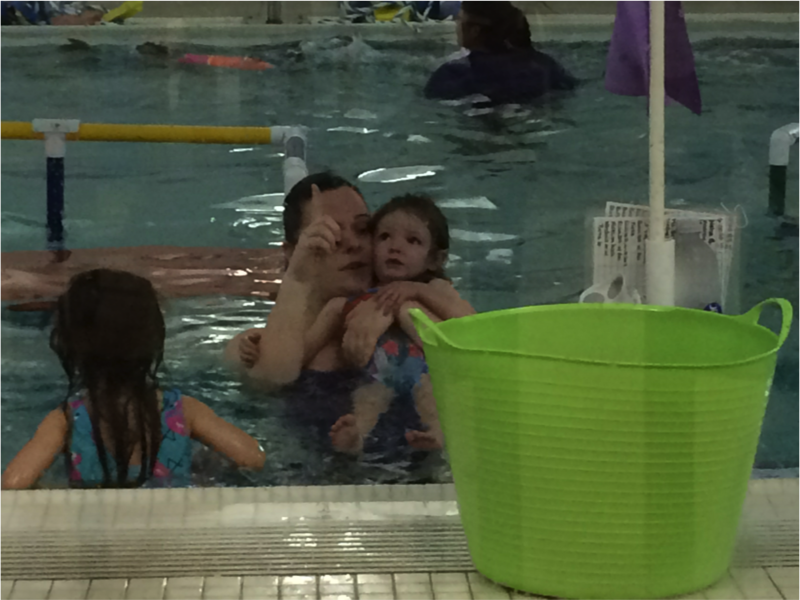 In my last post, I focused on the activities that help teach the water fundamentals for my one-year-old son. Rain Bucket: this is another way to help get the kids to warm up by using a “rain bucket.” This is a bucket with holes in the bottom that is poured over their head in order to help them learn breath control. There is a cute song that they sing with this activity which helps make it fun for the kids! Jumping Jellyfish: while singing a very catchy song, kids are on the colorful island (platform). During this time, the teacher works on basic skills including blowing bubbles, putting their ears in the water, splashing and even going under water! My daughter LOVES this activity and even when she’s going to bed at night she sings the jumping jellyfish song. Jump and Turns: this is a critical lesson in my eyes that they’re teaching my daughter. The kids jump in and turn around and work on pulling themselves out of the water. With neighborhood pools being packed, this is a super important skill that will help them in case they accidentally fall into the water. At the end of every class the kids have the chance to go down the slide. Not only is this fun for the kids but it helps reinforce all of the skills they are learning – holding their breath, jump and turn and blowing bubbles. Most kids want to go down the slide again and again. 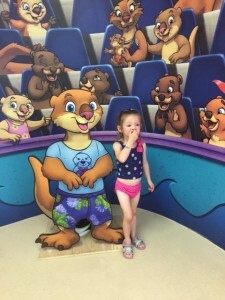 I love how Little Otter really makes learning swimming fundamentals so fun. For the parents, it’s great to see them progress – the kids have no clue how important it is to learn these skills. For me personally, it’s a great feeling to see her grow and be able to do more and more in the pool. It helps give me a sense of calm knowing that she’s more aware this summer at the pool. 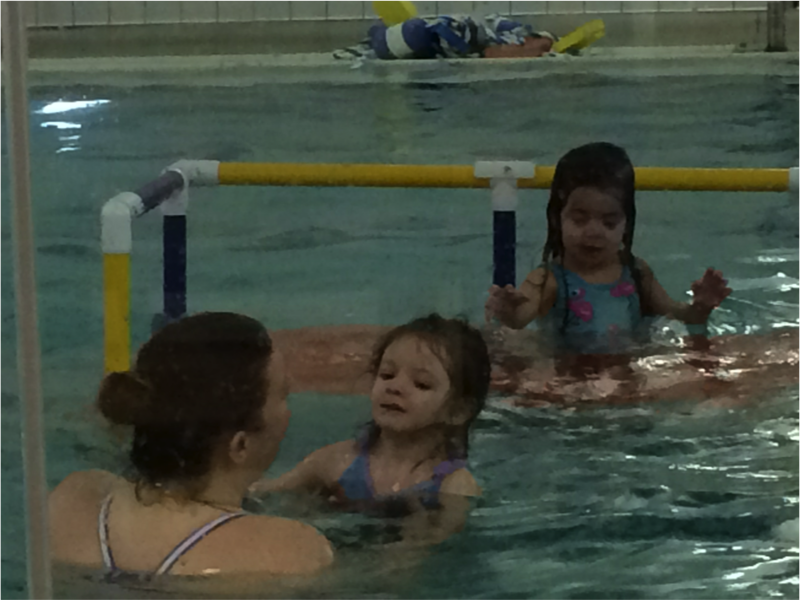 If you haven’t started swim lessons yet, it’s never too late, get your kiddos signed up today!